By this tour you will visit a representative museum of Athens, with unique and beautiful exhibits, which will introduce you to the fascinating ancient Greek civilization from some 5000 years ago to the present time. You will also walk through a nice area of the centre of the city and you will visit some beautiful historical spots, monuments and government buildings. 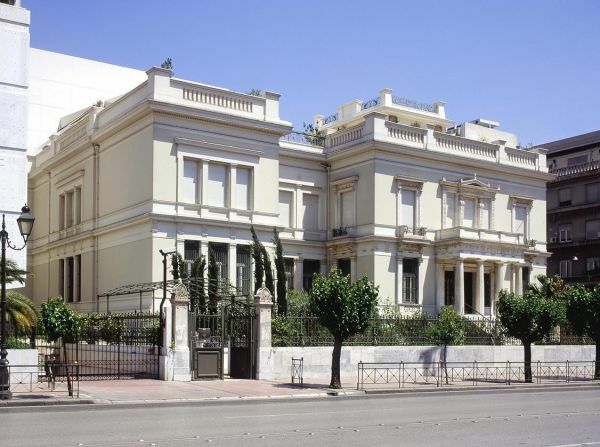 The Vast collection of this museum is exhibited on three floors and is representative of the Greek History and its development. The meeting point is inside the Syntagma Metro Station, next to the ticket validating machines, underneath the hanging clock. Your tour guide or office representative will be holding the orange colored Athens Walking Tours sign to identify them. Please make sure that you get there at 9:15 am, as the tour starts at 9:30 am*. 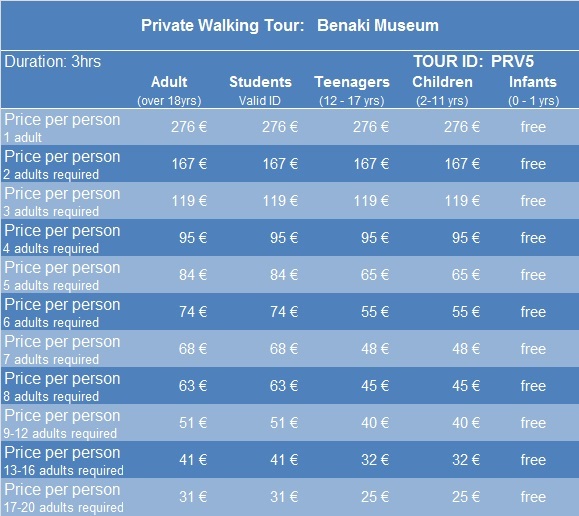 Entrance tickets for all places we visit are not included in the tour's price. The tours do not take place on the following public Holidays: 25 & 26 December, New Year's Day, Easter Sunday, May 1st and March 25, the Greek Independence Day.